Thomas Kretschmann was the first choice as the voice of Johann Kraus, but Guillermo del Toro was not satisfied with the result, and subsequently brought in Seth MacFarlane. Revealing mistakes: When Johann speaks German it is generally nonsense, and sometimes the grammar is incorrect. 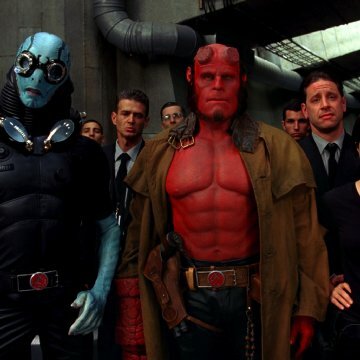 In April 2004, the original Hellboy film took in a modest $23 million during its opening weekend, going on in the course of its run in theaters to gross a not so impressive $69 million estimate. The studio felt it was not in their best interest to make a sequel. Universal thought differently, and bought the rights. 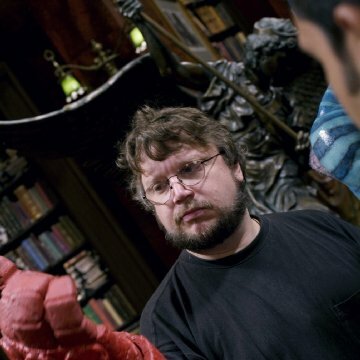 In the meantime, the B film became a hit on DVD and cable re-runs and its director, Guillermo del Toro, achieved auteur status (aka, A-list director) with his success making the acclaimed "Pan's Labyrnth". Now in 2008, against all odds, and in a rare risk for a studio, comes the sequel to this cult film sensation. 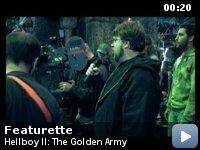 And in the tradition of small-budget features getting the big Hollywood treatment (ala "Terminator 2" and "Mad Max 2: The Road Warrior" two films that benefited from larger budgets and the expanded visions of grade-A filmmakers James Cameron and George Miller), "Hellboy 2: The Golden Army" bests its predecessor. It takes the setup, makes it bigger, better and louder. The film, to be sure--an eclectic medley of self-aware humor, an over-dose of dazzling visual monsters, sets and thrilling action, cheesy-yet-fun movie-making--is not for everyone. It's an acquired taste; a film to either be completely loved or entirely deplored varying on the viewer. For anyone interested in a bizarre, unique, visual stunner of gleeful monster madness (like me) I'd say catch this flick. For anyone else...I might suggest you stay away. In the first creature-feature, the story was a near laughable plot involving Rasputin, a couple of regenerating hell-hounds, and some other forgettable nonsense. 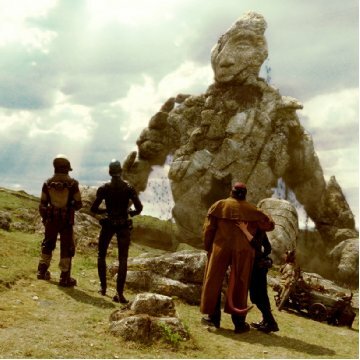 What made "Hellboy" succeed, was the director's visual panache and enriching vision, Ron Perlman's insta' classic turn as the titular character, a bizarre yet beautiful set and monster design, and a superb, hilarious dose of self-aware humor. Take all those ingredients, and add some elements that better it, and you have the upgraded, perfected version of what del Toro attempted to achieve in round 1. This time the story is better centered in its own rules and universe. A vengeful Prince Nuada (Luke Goss) seeks three pieces to a crown that will grant him control of the mechanized, unstoppable, indestructible Golden Army (big, round, blade-equipped, gear-moving robots). 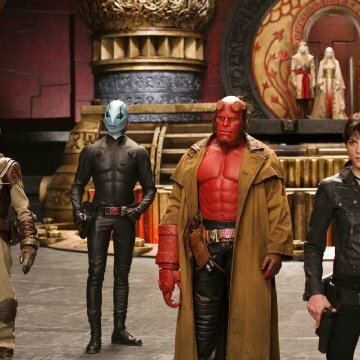 Hellboy (Ron Perlman) is dispatched by our government, with his usual good humor, to protect the third piece (held by Nuada's sister, played by Anna Walton) and hunt down the bad-guy before he completes his mission. This works better for several reasons as a story. Nuada (played with icy style by Goss) is a formidable villain to our hero, not the barely glimpsed and hardly personified mere image Rasputin was. He has a plan, a motive, and skill to be feared. 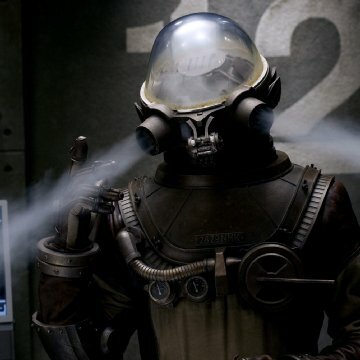 Secondly, the main players Liz Sherman (Selma Blair) and Abe Sapien (the indispensable Doug Jones, who also does other characters) are treated more as members of Hellboy's team; they work and operate together. 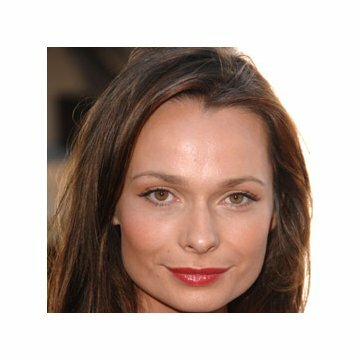 This allows for more personality to be revealed in each of them, such as a love interest for Abe in Princess Nuada, or the domestic issues (hilarious) between Hellboy and Liz. Mostly though, the plot serves to offer a more enriched universe created by Guillermo del Toro. Here is a man who turned down job offers on "I am Legend", "Harry Potter 6" and "Wanted" (all good flicks, and well paying jobs I imagine). He's committed to the material, and knows what he's doing. Del Toro's precision is felt in every frame; his perfect visual eye, sense of composition, brilliant art direction (the film definitely gains from perfect, eye popping sets and lighting), and engaging, well-choreographed action scenes. Pulling out all the stops, scene-for-scene are eyes are tantalizingly overwhelmed with interestingly created beasts and locales. Ron Perlman still enchants as Hellboy; piercing through all those prosthetics to deliver a performance balanced with humor, machismo, heart ache, charm, and swagger. He fits into the character even more comfortably than in film one. Selma Blair, who in her last outing seemed kinda dour and flat in my opinion, gets to play up on Liz's fury (and flames) and emotions. Doug Jones is as priceless as ever, and given much more screen time as Abe. Early on in the movie, Hellboy reveals his cover to the public; letting all the world know of his existence and the existence of his fellow 'freaks'. He expects to be treated as a hero, yet is rejected for having the appearance of a horrendous monster. The movie takes advantage of this notion and plays out Hellboy's potential choice to either save us all or join in with his own kind (as Nuada constantly says he should, ala very Darth Vader, 'join the dark side'). Throw in a hilarious drunken rendition of Barry Manelow's "I can't Smile Without You" sung by Abe and Hellboy, and a competition for team leadership in the form of gas-based character Johan Krauss (pricelessly voiced by Seth Macfarlane), and you have an admirable perspective shown on Hellboy's character: the nature, up's and down's, of being a hero. One who does not look traditional and suffers for it.